My name is Ron Cunningham and I have been an Oklahoma City Firefighter for over 23 years serving the citizens of Oklahoma City. My wife Orrana Cunningham manages our farm and our family. Throughout the year of 2013 she has been seeing many doctors in OKC being mis-diagnosed with a strained muscle and pulled tendon in the left jaw. This was treated by a TMJ and Cranial Facial DDS from Norman, OK for 6 months with the situation getting worse. Since there was no relief of the pain she was experiencing Orrana continued to seek out another doctor. While searching for a doctor to find some answer as to what was going wrong, Orrana had two lymph nodes swell up on the left side of her neck. At this time Orrana was prescribed antibiotics by her General Physician to no affect. Then prescribe steroids by an Oral Surgeon which also had no effect. Now we are in the month of September, we called an Ear, Nose and Throat doctor and got an appointment with his office in October. He listened to our case and ordered 2 CAT scans (One with contrast and one without contrast). His office called Aetna to get these authorized and they were denied. At this time the doctor filed for an appeal and did a peer-to-peer and was authorized to proceed with CAT scans. He also scheduled in November to do a biopsy on one of the lymph nodes on neck. We received a phone call from E.N.T. on November 18th 2014 with a diagnosis of Squamous Cell Carcinoma which is a Nasal Pharynx cancer. At this point we immediately consulted with SW Medical Oncologist and Radiologist being advised to go to M.D. Anderson; Houston, TX and to seek treatment with Intense Modulated Proton Therapy (IMPT). Which in the United States M.D. Anderson is the only facility that has that advanced life saving technology. Now we have no other option but to get this treatment, as the Chemo Therapy is not working at all. Our insurance company has now denied the Proton Therapy again, we have lost several appeals and the insurance company continues to deny all appeals to date. MD Anderson notified us that the cost to continue will be $92,000, we have exhausted all our resources on top of our normal living cost we are living in an apartment in Houston that is costing us a little over $2,700 a month, plus $15 per day parking ($450 month), $120 for gas each 500 mile trip to MD Anderson when they send us home to Oklahoma, but this is cheaper than flying but it so hard of a ride in the truck that long. Our deductibles, coinsurance, and medications so far are over $7,500 and this month will be another $6,000 since it’s a new year for the insurance company. I have lost about $7,500 in earning by people working my shifts, and I’ve started to exhaust my vacation and sick time pay. We attend Life Church South campus in Oklahoma City and believe that God will provide. We are trying in every way to stay positive and come up with the funds for her treatment. So she can survive this and see our Son Trevor grow up and see our grandchildren, thank you for thinking of us and any support you can help us with. God Bless! This is what MD Anderson sent me today. We was notified yesterday that are insurance company made there final decision that they would not pay for Orranas treatment. The treatment facility told is they are putting a hold on her appointments until we produce 92,000. We are praying for the right decision. We want to thank each person that donated. Orrana is a very special person and deserves the best treatment possible. We have until the 18 to come up with the money. Please share. Dr are saying that the Proton Therapy will help save Orrana eye and possibly her hearing in left ear. They have to hot the back of her brain were the memory is stored. My insurance company has denied the 140 page document that the hospital and the Dr has wrote. I talked with the Proton Therapy centers CFO and he has told is that the price is 92000.00 and if we would like the treatment to start on the 18th we have to pay up front or just don't take the treatment. We need prayer to do the correct thing. Everyone that is setting with Aetna what if this was your love one. Our fire department needs to here this loudly. 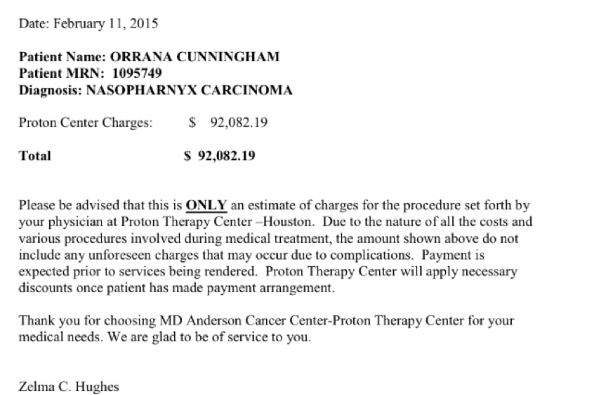 I have started a fund to assist in Orrana's health care. We have never done anything like this before but this is unusual times. 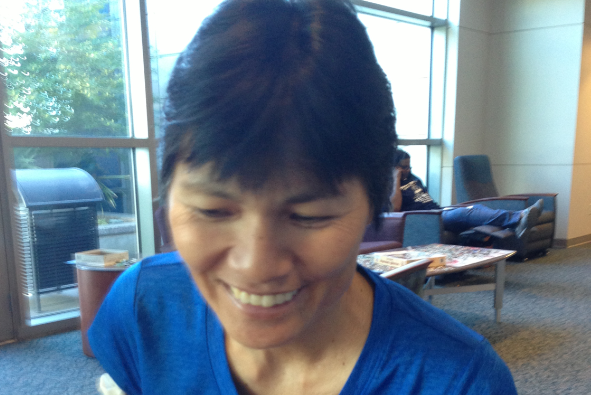 A up date on her condition to all our friends is MD Anderson did not move forward with round three of chemo because the tumor was not shrinking enough for the side effects that was happening to her. They felt like she needed her strength for the next step. Aetna is still denying her treatment even after MD Anderson has done several appeals and we are down to the last appeal in there process. I have to move forward with anything I can do to get her the best treatment possible. I have been told all donations are tax deductible. Shame on you Shelley for such a mean post. They just won on Monday, Nov 5, 2018. And the insurance company will most likely appeal. It could be years before they see any money. My condolences to the family. Shelly, do you think that with everything this family has been through, monitoring a GoFundMe page that has not received a donation in 39 months is priority? Mind your business 'Nosy Nancy'. Jealousy is ugly! Shelley, you idiot. The court case was just won on November 5, 2018, and Aetna still has the right to appeal the decision. And besides, it’s none of your business anyway. I’m sure they’d much rather have their family member back. Learn about compassion. Shelly your comment is just flat out stupid! Are you stupid? Can you not read? Do you know how things work? Why are you so nasty? Your family won the court case back in 2015 and Over $25 million. Why is this page still up trying to get more donations? Greedy, much?! Shelley, your reading comprehension is nonexistent. Mrs. Orrana Cunningham died in 2015, but it was just THIS MONDAY, Nov. 5, 2018, that the jury ruled in favor of her family. 3 YEARS AFTER her passing. Just now. And that doesn't mean, at all, that they are going to be paid, if they do, any time soon. Shelley, remember that we get what we give. And you, my dear, definitely are not spreading love, huh? Thank you for not giving up even after the passing. Money wont change anything but i do hope this sets the tone for other insurance companys. 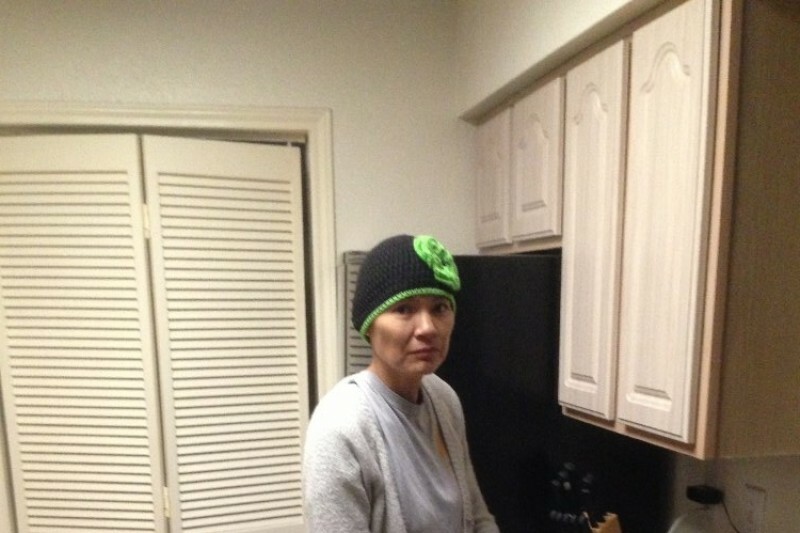 You can look me up on the go fund me Cancer patient fighting for justice. Winnipeg , Canada. Yasmin Kinnarath. I am a delta employee and I had filed two lawsuit against delta airlines and desjardins financial security over life insurance fraud. I am a pro se . When I was diagnosed with the last stage cancer Delta terminated my life insurance which I had purchase to protect my two kids in the event that I would die. I am also doing a go fund me to raise money for my court appeal and legal cost. I am in need of an excellent Lawyer to help me. Please help me get in touch with your attorney. Dear Mr. Cunningham. My heart goes out to you and you children. I wish I could speak to you. I am going through a similar situation.